First off, Star Wars Card Trader is an app for iPhone and Android that brings Star Wars card trading and collecting into the digital era. This is a free app, with free credits that you can use to purchase packs. You can also choose to purchase additional credits though you are not required to do so. This was a week of beginnings and endings. The first series of Comic Covers came to an end and the award card for collecting the first 19 of the same parallel will be issue 20. You had to have all 19 cards in your possession by 3PM EST on August 10th to receive the reward. Classic Art Cards ended and the set came to a close. 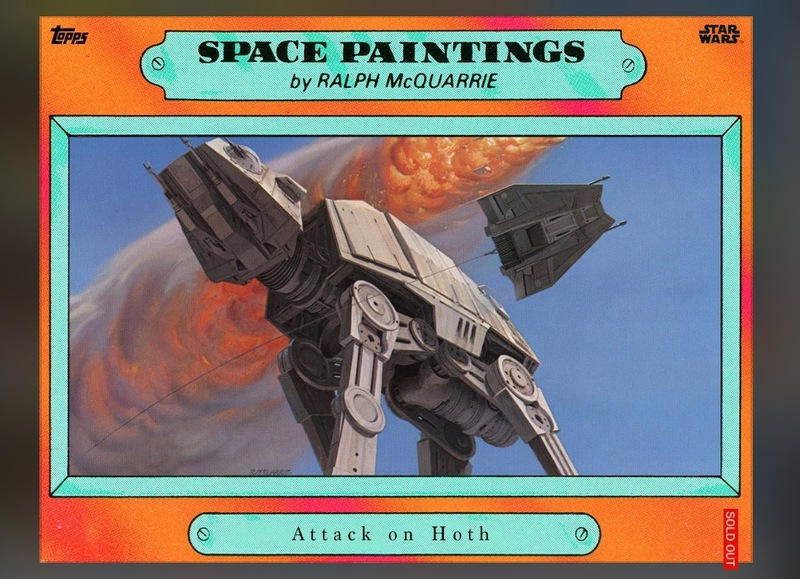 The card was the Classic Art FX-7. The final card count for FX-7 was 3,709, making it the second lowest card in the set. While the due date to have all cards in your possession for the Luke Skywalker Classic Art Award Card has not been announced as of this writing, do you best to complete your set no later than Friday to be on the safe side. The Badges of War Award Card came this week, closing out that set. It was a beautiful picture of Darth Maul and was a worthy Award Card to the set. Sketches and Clone Attack came to an end. It was a forgone conclusion that these sets were done, as new cards hadn’t been released in weeks. Having the Clone Attack set gave you credits and an award badge for your collection, but no Award Card sadly. Sketches will get an award card and all the Sketch Cards of the same parallel had to have been collected by August 10th at 3PM Eastern. Topps released two new series last week, Light Side and Naboo. 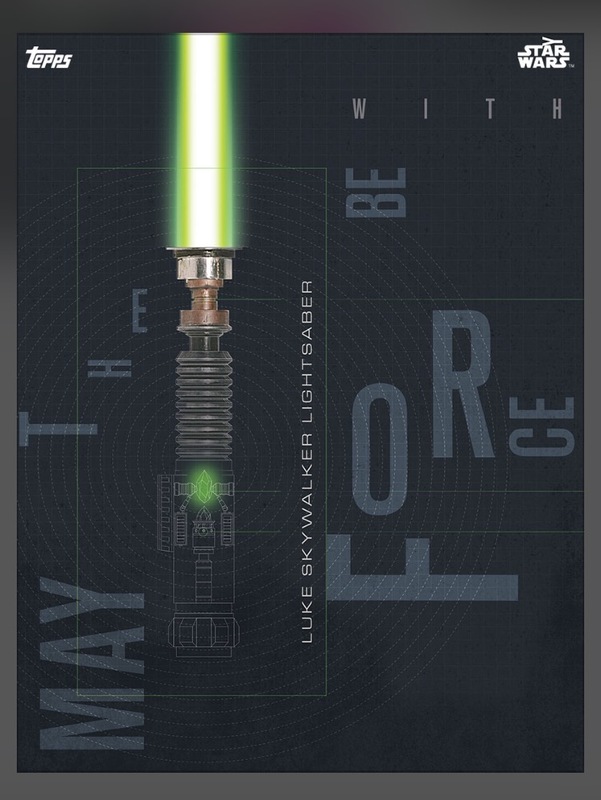 The Light Side set is a companion to the Dark Side set that came out a few months back. It features hero characters and is a timed pack that will end on 8/17. Naboo is a planet focused set with characters like Battle Droids, Jar Jar and Darth Maul so far. It has been announced that the series will consist of 10 cards, so it’s nice to know how long it will last ahead of time so you can decide whether you want to chase this set or not. My week? HOARDING HOARDING HOARDING! I continued to collect all the sets I normally do but I suddenly got the hoarding bug. Anyone who knows me knows that I love Boba Fett, AT-AT’s and the Rancor. Boba Fett hoarding is out of the question as a lot of people do it and they already have a huge start. AT-AT hoarding is unreasonable as the only real one is an insert. That left the Rancor. I started on Thursday with around 40 and have 1,240 as I type, so I’ve been fairly successful and busy with it, but it’s honestly been more fun than I expected. Sunday was fantastic. Pulled 3 of the new Saw Topps Choice. Gave one to Dru, flipped one for the Grievous vs. Kenobi Widevision and was going to keep the last for myself but a random trade popped up offering a Maul, Dodonna and a Rancor Keeper Topps Choice for it. I had to accept. I need a Rancor Keeper to look after all my Rancors after all. I hope to get the Saw Topps Choice back in a trade or get one tomorrow when Dru goes for GM. We’ll see. This week started off rough. Couldn’t hit the new TC card on Sunday, as well as the GM card on Monday. However during the Monday frenzy trying to pull the GM card I managed to pull 3 of the Plo Koon TC cards. I used 1 to trade for the GM card and flipped the other to Mark who also chases the set. Vintage Thursday came with a pretty cool Leia/Boushh in Jabbas palace. I am all in for vintage this wave and pulled this in a little under 70k, which is pretty good considering the odds for vintage. I didn’t chase Connections on Friday because I had a good feeling I would pull it on Saturday chasing the widevision, which in fact I did, along with pulling the WV a few packs later. I had a strong week that weakened towards the end. I’m currently collecting Storyboards and Paints, which have slowed considerably as the slew of new sets were released. I haven’t seen a Storyboard in days. The only other sets I’m focused on are Rebels Posters and Prism. I find the Prism set to be really nice looking. Also, it’s the only set that I can remember where 2 of the first 4 cards feature female characters. That’s a small thing and I know it can’t last, but that’s pretty cool. It’s a challenge though because while the odds aren’t terrible (1:30), the easiest card to pull is limited to 2,000 cards per character. That’s a pretty low card count and this set is selling out quickly. What makes it even harder is that the harder to pull colors (blue and red) are extremely limited (500 total, 1:90 & 50 total, 1:180), making the green the only viable option for most collectors and thus harder to get. I find that Prism is the only set I must jump on as soon as a new card is released. Despite my good luck with the 1st two cards, the last two have been extremely hard to pull for me. You might have noticed that Mark and Dru both collect various marathons and have mentioned trading duplicates to each other. That’s how our little group got started. What I’ve noticed is that with the Prism, since neither Mark or Dru are chasing it, I’m left with only my credits and luck. Yes, yes…”never tell me the odds!” and all that but realistically when my creds and luck run out, I’m finding it challenging to keep up. I’m also finding it less fun. Part of what makes this game so great is the community aspect. The fun in trading and sharing your successes and frustrations. So for those of you reading this – I encourage you to get your friends involved or get involved in one of the fan groups like Black Sun on Facebook. It really adds a fun level to this game! Today’s tip is for the beginner. So you have a fresh stack of credits but don’t know what to spend it on, or you’re wondering why you can’t find the wide vision or vintage card pack. 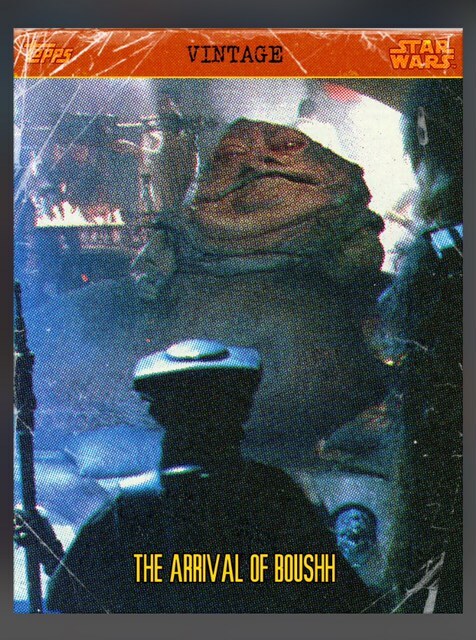 To pull a marathon card (Vintage, Wide Vision, Connections) you have to open up Boba Fett packs 1 hour AFTER the transmission goes out saying that it’s in the Cantina. Buying a credit bundle unlocks the Master Access Darth Vader pack, which is 10k and gives you early access to marathon drops. The Mace Windu packs are a base card pack, but on Wednesday’s Fans choice is dropped into them. This pack is the only pack you can pull a FC from. The Asajj Ventress packs are just your standard base card packs. No inserts can be pulled from them. Remember the “Transmissions” tab is your friend. Look at it regularly and often. It usually updates every hour or two with drop info. Or if you are a regular on twitter, follow @SWCT_info, and set notifications every time a tweet goes out. She is spot on with the drop alerts. It felt a little like a death and rebirth for Star Wars Card Trader this week. They sort of cleaned house on some things that were left dangling like Sketches and Clones, and started a couple new series like Naboo and Light Side. 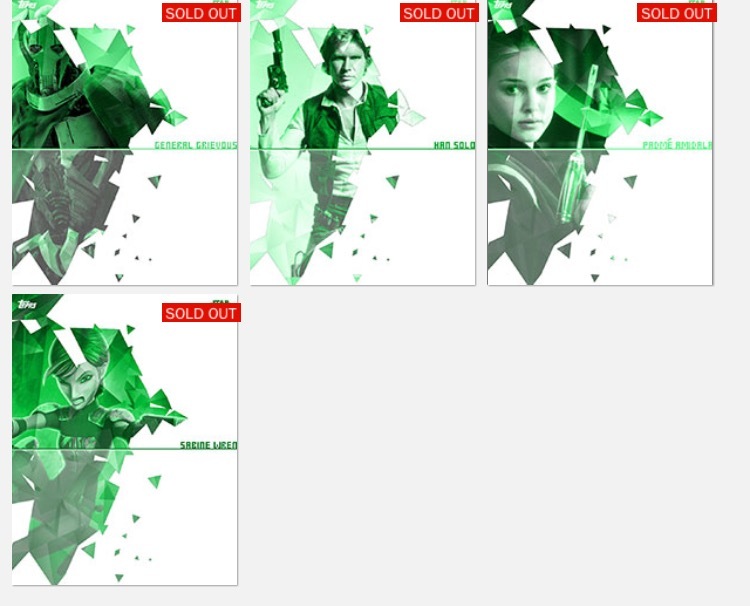 The beautiful thing about Star Wars Card Trader is that there is something for everyone. As much as some of us might not personally enjoy the TK set, others love it. I love the fact that Topps Choice is focusing on some of the characters from the animated series, and other people despise it. This is an app for every taste of Star Wars fan and if you collect what you like and avoid what you don’t, I’m sure everyone will be happy in the long run.